Meet with former European Union Ambassador Carlos Alzugaray for a talk about US/Cuba relations; Mr. Alzugaray is a professor at University of Havana International Relations School, and an expert in US studies. Visit a day care center run by The Sisters of the Love of God, visit a classroom in session, learn about the remarkable work the sisters do for single mothers. Our headquarters for the Havana leg of our trip will be the five-star Meliã Cohiba Hotel on Havana’s historic Malecón. Meliã Cohiba is one of the finest hotels in the Caribbean. After a busy day in Havana, Meliã Cohiba is the place to relax, have a cold drink, check your email with available Wi-Fi, look at the sea, or take a stroll along the Malecón at sunset and be inspired by Havana coming to life after dark. In Cienfuegos, our group will stay at the Hotel Jagua on Cienfuegos Bay. With its magnificent location in the well-known residential area of Punta Gorda, the Jagua is considered one of Cuba’s most famous hotels. Its comfortable rooms are characterized by the spaciousness of the 50’s and offer beautiful panoramic views, which showcase the nature and wild life of the Caribbean. 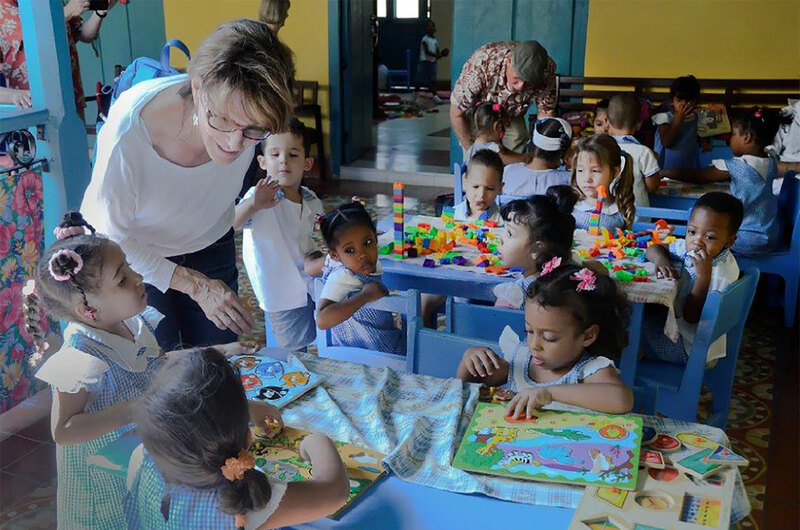 Cuba is committed to arts education and training from primary school to the university level. 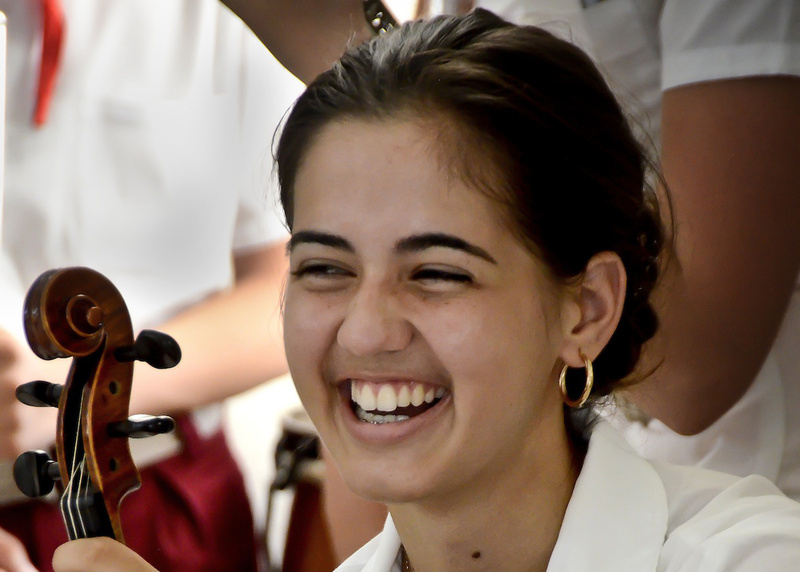 To see firsthand how artists and musicians are cultivated, we will visit Escuola de Arte Benny Moré and Instituto Superior de Arte (ISA) where you will experience Cuba’s arts education system with private performances by school orchestras, chamber ensembles and dance classes. You will also visit visual arts studios at these schools. In addition to the performances, you will have the opportunity to communicate with the students and their teachers in a round table discussion that will enlighten you on Cuba’s robust arts education. 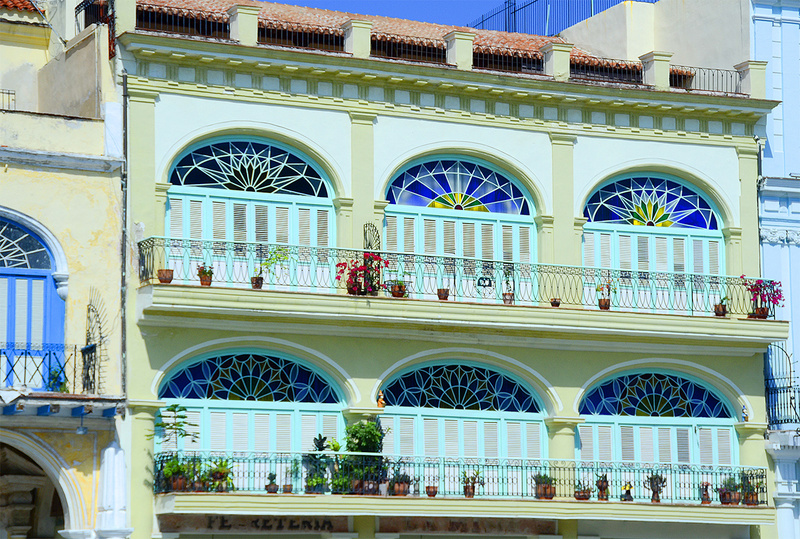 Some of the most exquisite historic buildings in the Caribbean are in Cuba. Despite the 54 years of embargo, Cuba has managed to preserve and restore some of its most important heritage structures, neighborhoods and monuments. Using tourist dollars and financial incentives, much of Old Havana, a UNESCO World Heritage Site, is gradually being rehabilitated to its former beauty. A noted Cuban architect or urban planner will provide our patrons with an insight into what it takes to gradually restore one of the world’s great cities, one building at a time. In Cuba, the classical arts are revered by every walk of life. During our trip, patrons will experience performances by such renowned groups as: Orquesta Sinfónica Nacional; Ballet Nacional de Cuba; Conjunto Folklórico Nacional de Cuba; Ballet Lizt Alfonso Dance Cuba; Camerata Romeu; Cantores de Cienfuegos; Orquesta de Cámara de la Habana; and more. Events will include opportunities to attend rehearsals as well as performances, mingle with the performers as well as sharing a meal. These People-to-People experiences will be truly awe-inspiring. Cuba Rhythm and Views' People-to-People Cultural Exploration is different from all other tours of Cuba. Our focus is solely on the arts and music. Our People-to-People activities, which is the foundation of legal travel to Cuba, are with notable artists, architects, musicians and dancers. 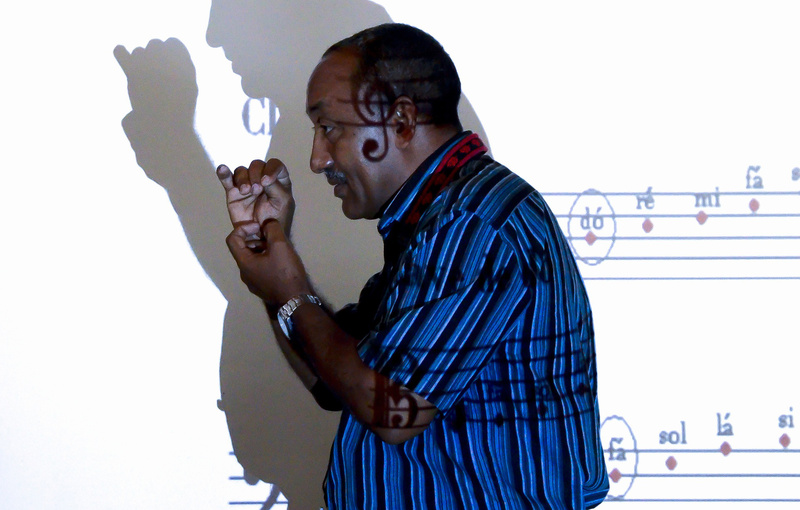 Other programs tout a “cultural” experience, but Cuba Rhythm and Views fulfills the promise of a Cultural Exploration through enlightening lectures, concerts and personal contact with Cuba’s creative community. 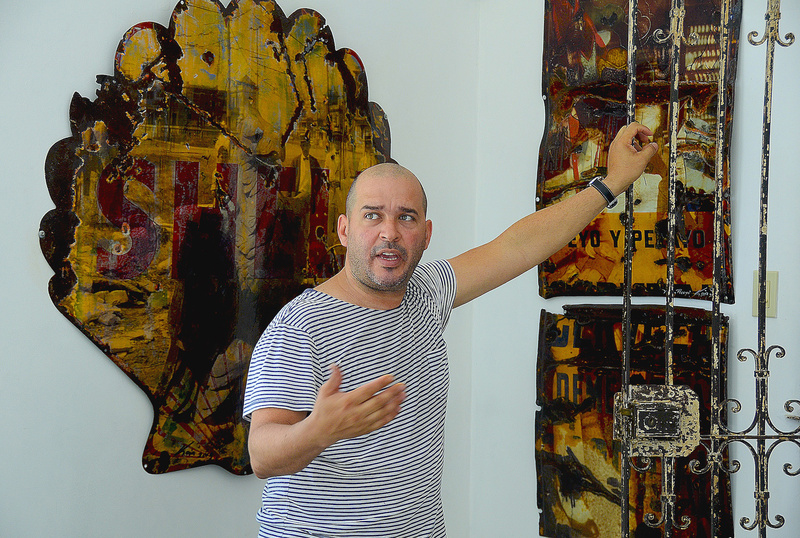 As part of our People-to-People exchanges, our patrons will visit leading Cuban artists’ studios and homes. They will discuss their work and their artistic visions. Among the many artists patrons will meet are: Vladimir Rodríguez, Santiago Hermes Martínez, Kadir Lopez, Villaluilla, and many more. These personal encounters will help to understand life in Cuba before the Revolution as well as today. The growing movement of private restaurants, or paladares, in people’s homes is flourishing in Havana. This movement is the vanguard of economic change in Cuba. 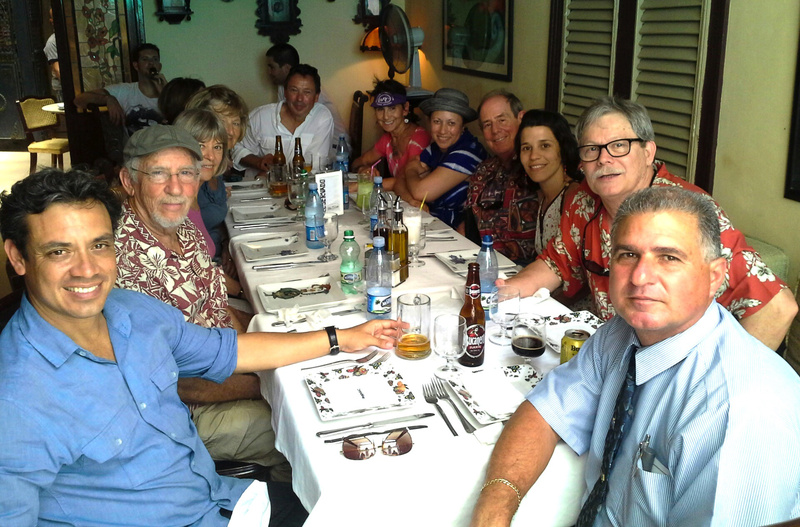 The best dining in Cuba is in paladares along the backstreets and alleyways of Old and New Havana. The restaurants are being reviewed internationally and Havanaphiles are slowly finding their way to these wonderful free-enterprise culinary destinations. Most of our meals will be in paladares. And, for the evening meal, our patrons will be given the names and locations of Havana’s best private restaurants, all within a ten-minute cab ride from the Meliã Cohiba. Cuba Rhythm and Views’ People-to-People Cultural Exploration is different from all other tours of Cuba. Our focus is solely on the arts and music. Our People-to-People activities, which is the foundation of legal travel to Cuba, are with notable artists, architects, musicians and dancers. Other programs tout a “cultural” experience, but Cuba Rhythm and Views fulfills the promise of a Cultural Exploration through enlightening lectures, concerts and personal contact with Cuba’s creative community.